Win tickets to Wine On The River this October | Eat. Play. Drink. Cape Town. THE 13th annual family-friendly Wine On The River festival, in partnership with Nedbank, takes place on October 26-28, when the most talented winemakers, innovative craftspeople and inspiring chefs from Ashton, Bonnievale, McGregor and Robertson will be congregating on Goudmyn Farm off the R317 between Robertson and Bonnievale, to treat festival goers to all sorts of tasty things, including wine tastings from no less than 30 local wineries. 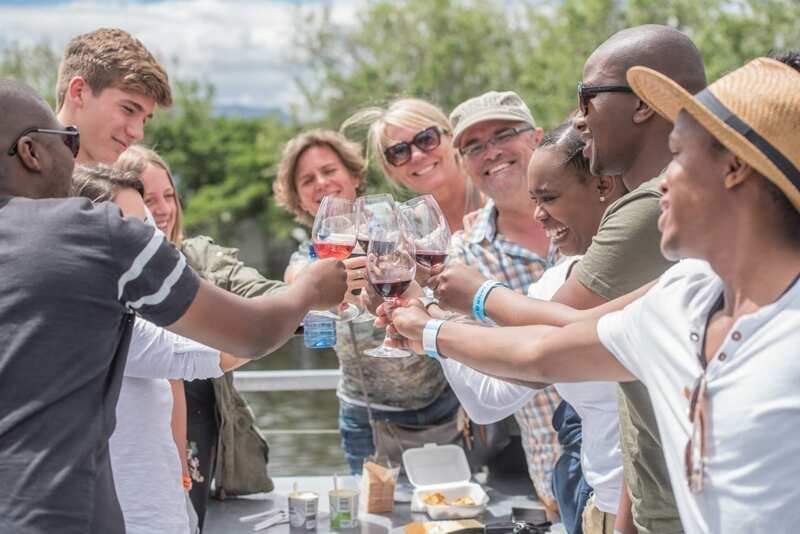 Cape Wine Academy will host interactive wine tastings alongside local winemakers in the #TasteTheLifestyle tent overlooking the river and if you really want to get into the thick of things, you can even hop aboard a wine safari truck. Local winemakers will be conducting wine safaris on nearby farms, taking festival goers through the vineyards to learn more about the terroir and into underground cellars to discover the stories behind the vintages. As always, there will be a country central market where you can browse and stock up on local produce, artisanal fare and all sorts of beautiful keepsakes. A dedicated children’s area will offer activities for all ages on a pay-as-you-go system. Proceeds from the play area will go to local schools and farm crèches. The annual Duck Derby will take place again this year, with proceeds from the initiative going towards the Zolani Youth Choir. 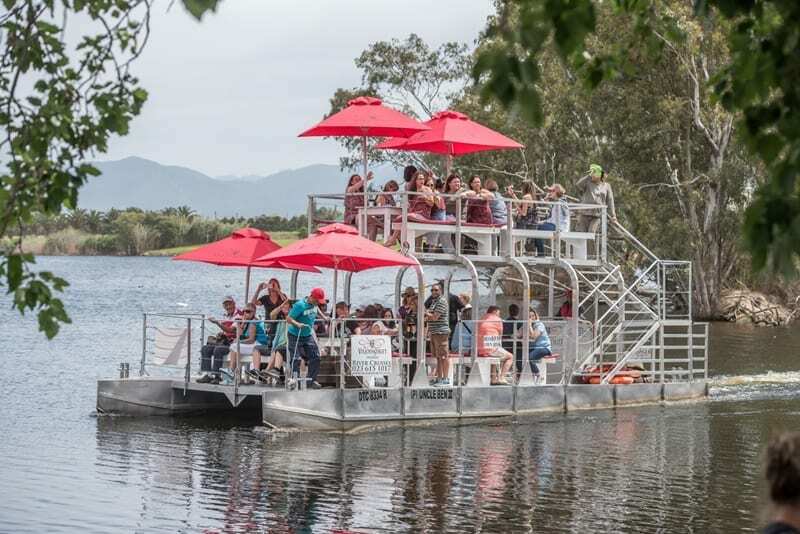 The popular Viljoensdrift boat cruise will offer leisurely river trips for the whole family in aid of the Breede River Hospice. In a first for Wine On The River, glamping accommodation is being offered on the banks of the river a mere 15 minutes from the main festival site. Full weekend passes and daily tickets range from R150-R350 through Webtickets, with free entrance for under 18s. An Eat Play Drink reader can win two full weekend passes to Wine On The River valued at R700. To be in the draw, send an email to marketing@robertsonwinevalley.com by October 22, and include your daytime contact details. The winner will be contacted directly by the organisers and no correspondence will be entered into by Eat Play Drink.